Tim is an accomplished and experienced teacher, theatrical sound designer, director and project leader. For eighteen years, Circus has led him around the world and back again. As well as countless performances, he trained at London’s National Centre for Circus Arts and Kiev State College for Circus and Variety arts in the Ukraine, specialising in acrobatics and juggling. In 2008, he became involved with the Roundhouse, where he conceived and set up Acrostudio and then the Roundhouse Circus Company, which he directed. This ambitious group of young people has gone on to become Square Peg, Roundhouse and Jacksons Lane associate artists. 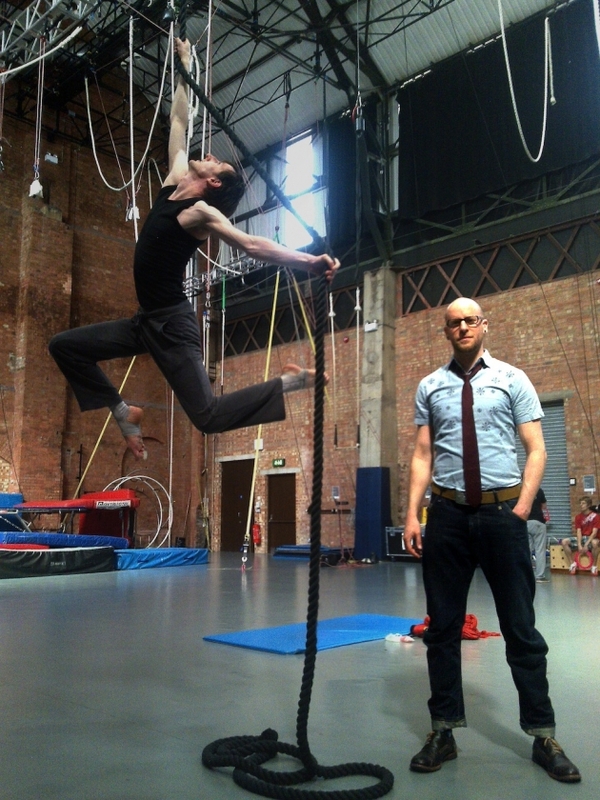 Tim is actively involved with managing the company as well as coaching acrobatics and directing performances. In addition, he has founded new circus production company: Cirquit Productions Ltd. (http://www.cirquit.org.uk) to enable his other new projects including a multimedia acrobatic adaptation of Gogol’s Diary of a Madman, in 2009; and a collaboration with Goldsmiths, University of London’s Embodied Audiovisual Interaction Group in 2011 exploring improvised acrobatic dance within multimedia immersive environments, which was short-listed for the prestigious M.A.D.E. commission (Mobility for Digital Artists in Europe). Between Nov 2010 and Jan 2011 he was one of the Battersea Arts Centre’s ‘Independents’ working with People Create and the Cultural Leadership Programme in order to understand the principle that artists can be leaders through their practice. He is always looking for interesting collaborations as well as venue and production partners with whom to develop new work combining Circus with Dance, Theatre and Technology to create beautiful, innovative story telling.